Posted on October 20, 2014 by Amanda Evans Posted in Personal, Uncategorized	. Thanks for checking out my blog which has won its first award! I’m so excited to be accepting this as I grow my crunchy little database here. 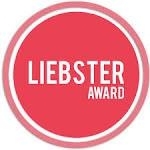 Thanks to Amy at The Starving Artist, Odds & Evans has been nominated for a Liebster Award! It’s an award for new bloggers who have under 200 email followers to help them get the word out about their work. What’s also fun, is that everyone who gets nominated, is then asked to nominate 11 others! To accept the award, the nominee must answer eleven questions posted by the person who nominated them. So here goes! Why and how long ago did you start blogging? I created my website in January of this year, so about ten months. I’ve only been posting more regularly, however, for the last four months. What one word sums up the heart of your blog and why? Homemade. Whether its homemade recipes of food, cleaning products, beauty goods, or crafts, I really enjoy making things. I am always intrigued by what products are made of, and if I can break it down and make each individual ingredient the most pure as possible. Creating something new is an empowering feeling! Is there something you learned late in your blog journey that you wished you knew before? The importance of networking with other bloggers. The sense of community and encouragement that comes from getting to know other personal writers/creators has been so helpful for me to grow (and keep going). What is your favorite past time other than blogging? Yoga. So in love with it. I yearn to be a yoga instructor within the next few years. How many hours per week do you dedicate to your blog? At first it was maybe 1 or 2 hours SOME WEEKS, while I slowly tried to figure out if it was the right thing for me. A few months ago I decided to devote about 4 hours a week to it and now I am aiming to do about 10-12 hours a week. What category of blog posts do you enjoy the most? Homemade products! I want to get all of the stuff up that I make RIGHT THIS VERY SECOND, but it is taking me awhile. It is funny that I don’t like cooking very much, but I really love “cooking” up homemade cleaning and beauty recipes! Technically, essential oils posts would be my favorite, but I find them very stressful as I try to balance communicating important information in words the FDA allows. I can’t gush like I want to! Where does your blog inspiration come from? I’ve been called “Mandy Stewart” before (lovingly, I hope?!) so just like Amy, I have to say Martha Stewart (at least brand-wise)! Her organization, effectiveness, and creativity has always made me happy. On the blogging front, however, Mommypotamus and Mama Natural were my first introduction to crunchy bloggers back when I was starting to explore Nourishing Traditions and traditional/natural living. What post have you written are you most proud of? I think my post on how to make your own yogurt in the crockpot over night because it was one of the first ones I remember writing that actually got pinned and seen by people I didn’t know. I was proud that I finally got something up that I had been aiming to do. Is there any post that you have been planning to do, but kept postponing for a while now? Umm, about a hundred of them. My entire cloth diaper section was originally the aim for my blog and yet now it is my least-filled category. I really want to work on that next, and just keep getting all of my homemade stuff up. What is your favorite aspect of blogging? Scratching my teaching itch again. The transition to stay-at-home-mom was not as graceful as I imagined. I knew I didn’t want to be anywhere else but with my son, but felt such an urge to create, plan, share something with others. I am really love/hate with this blogging gig because I feel pretentious; like anybody actually needs me to share these things. Sometimes I feel like everything is already out there, but I hope that maybe mine can be just the right one for somebody else. Everything I talk about on here is something I struggled to find the perfect post/page to help me first learn. Which recipe, project or idea on my blog would you be most likely to try yourself? I love Amy’s clean design and mouth-watering blog and am currently craving her Mustard Chicken with Lemony Artichoke Quinoa. I would hereby like to nominate the following bloggers for their excellent work. You need to link back to the person/blog that nominated you and give a little thank you shout out. After completing these questions you must nominate 11 bloggers with under 200 followers, and give them 11 questions of your choice. You must let your nominees know that they have been nominated and provide a link to your post for them so that they can learn about the nomination. Well, there you have it! Congrats! I hope you all are excited. If you have any questions about the rules, the award, how to find others to nominate or why I picked your blog, please feel free to message me. 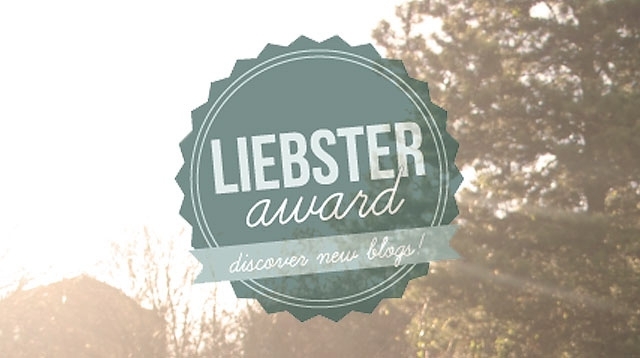 Tags: award winning blog, bloggers, liebster award	.